Factory fitted handrails (8-12 treads), and a safety cord between front and rear sections. Platform WxD: 280 x 250mm. Built-in tool holder and hook. EN131 compliant, GS and NF approved. Working at height can be made easier, as long as you choose the right equipment that best suits the tasks the user is performing. Our aluminium platform steps offer a safe method of reaching high up areas, with features to help the user work efficiently. They conformed to European Standard EN131, industrial use, as well as GS and NF standards, so you can be confident these are quality products. They have an anodised finish, meaning they are very smooth and clean to handle. The platform size is 280mm x 250mm, providing a comfortable space for the user to work from and they have a capacity of 150kg. 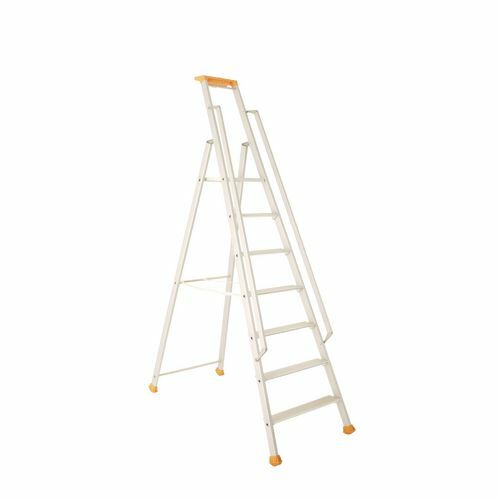 These steps are fitted with double handrails offering added safety when mounting or dismounting. 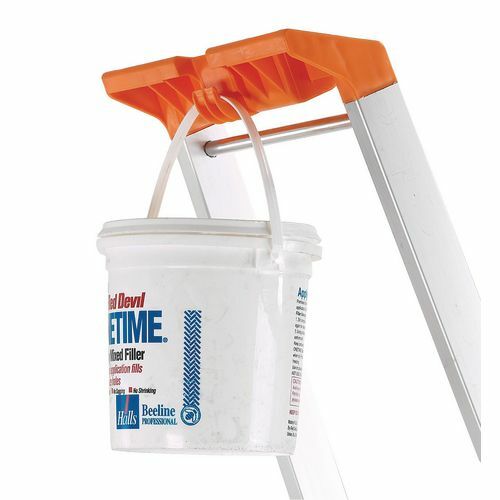 They also come with a tool holder and hook to hang a bucket/can to assist with tasks. There are five platform heights to choose from; 1760, 1980, 2200, 2420 or 2620mm, steps with seven treads are fitted with cord between front and rear sections for added safety. 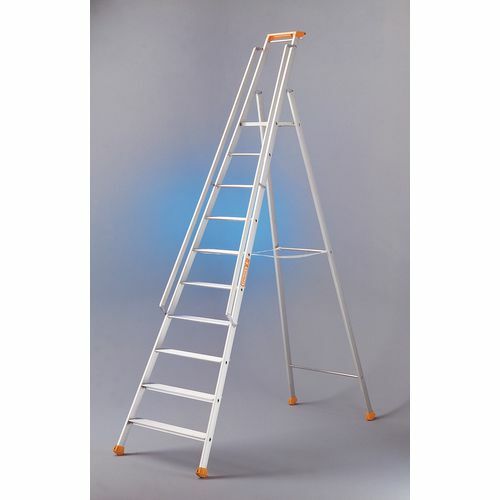 Our aluminium platform steps are a safe way to work at height, assisting the user with features such as a tool tray. They come with a 60 month guarantee and FREE UK Delivery.